You have half a dozen products out in the market. You know that you have some customers using your products, but you don’t know whether they love it or hate it. You know you need to get customer feedback in order to enhance your products and ultimately get more customers buying from you. So you go online to create with Survey Monkey or one of these tools. 1. 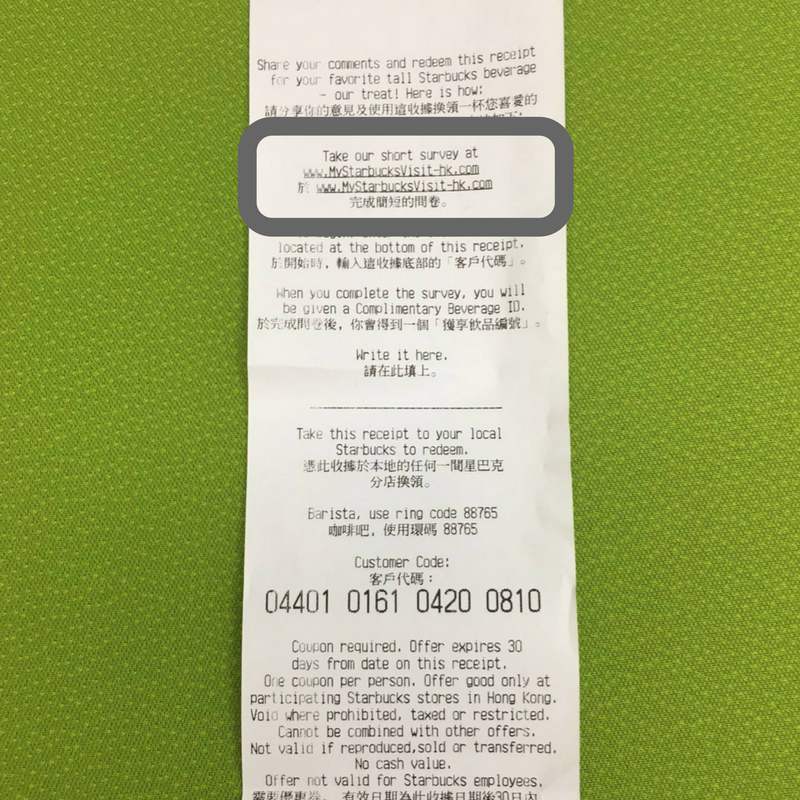 Your customers hang on to your receipt. 2. Your customers take their time to read the receipt. 4. Your customers manually input the survey link in their smartphone or desktop browser to submit their feedback. But you never get any responses. Surprise, surprise. To print your survey link on a piece of paper is simply…foolish. Sorry, Starbucks Hong Kong. You don’t want to waste all of hard work in designing a survey that nobody sees. Now, it shouldn’t be surprising that smartphones reign supreme and get a lot of loving and attention by consumers. And if you’re one of the innovative & advanced businesses that are already distributing mobile wallet content (e.g. digital coupons, digital loyalty cards, digital event tickets, etc. ), then you should definitely make the most of it. 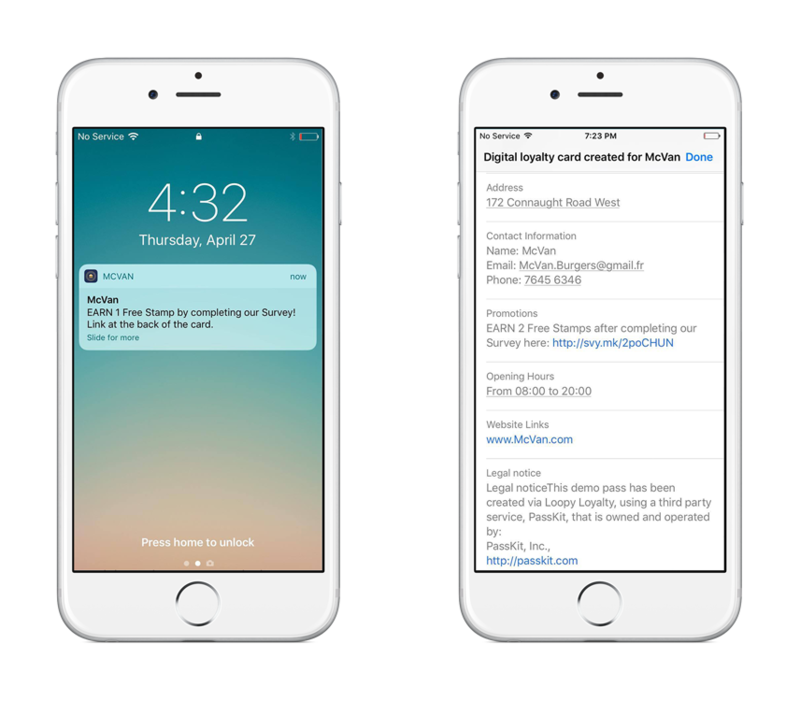 Here are 3 examples of how you can distribute your surveys through mobile wallet & ensure your customers actually respond to them. Incentivize customers to complete your survey by getting them one step closer to claiming their reward. 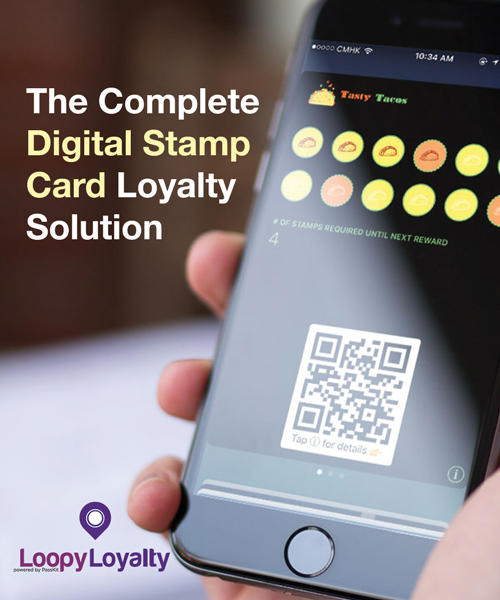 Set up your digital stamp card and place your survey on link on the back of the card. Once your customers have completed their survey, deliver a push update and reward them with a stamp. Get feedback from customers after an event – collect testimonials for use on your website or simply learn about how you can make your event even better next time. Update your digital event ticket to include a link to your survey. Send a push update to all attendees thanking them for attending and asking for their feedback. Tip: to get even more responses, make it worthwhile for attendees. 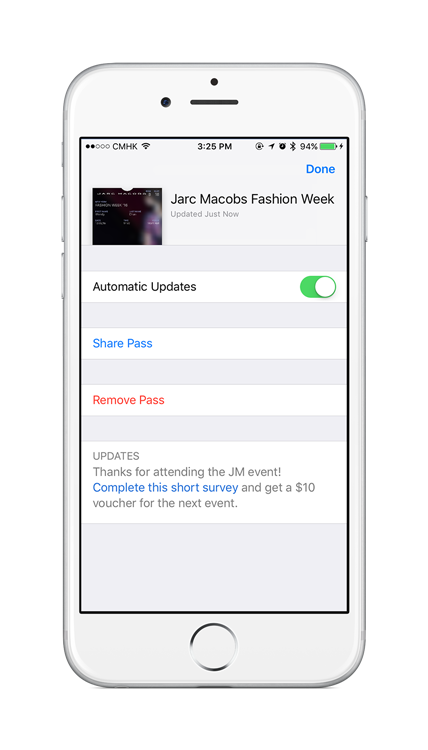 Once they complete the survey, update their event ticket to a $10 voucher that can be used for the next event. 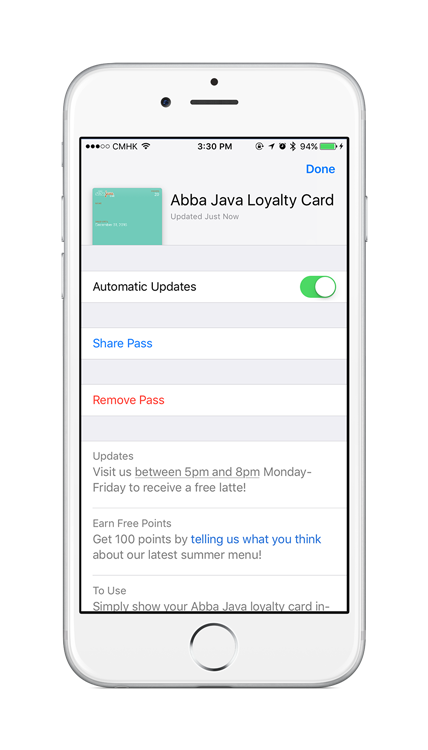 Similar to digital stamp cards, incentivize customers with extra points for completing your survey. 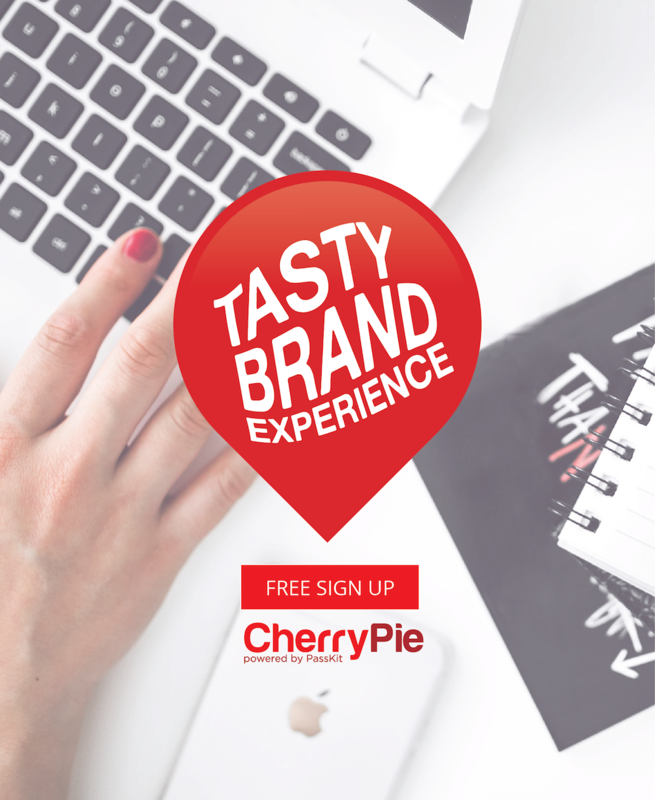 Using CherryPie, simply add your survey link to the back of the card and automatically issue points when they complete your survey. Forget printing your survey links on paper. Your customers aren’t going to respond, let alone see it on paper. It’s time to go digital.